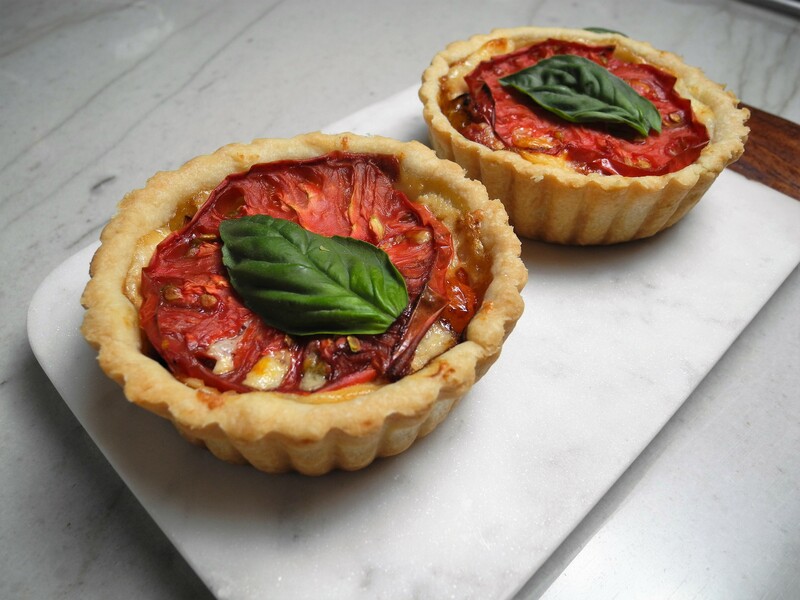 Every summer I say I need to make a tomato tart with our abundance of CSA tomatoes and every summer I never do it. Well this summer I finally did it and I can’t believe I have been missing out on this all these years. 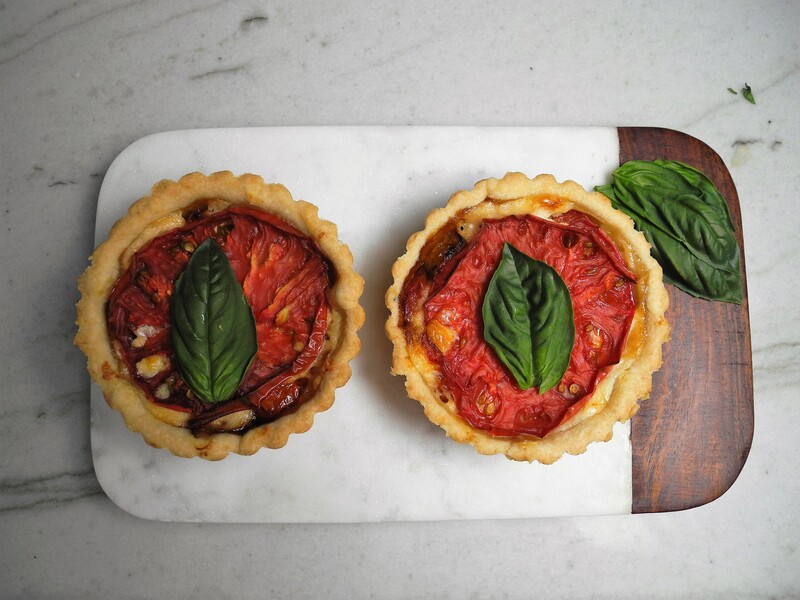 I looked at a lot of different recipes for tomato pie, which is a southern dish, and tomato tarts. 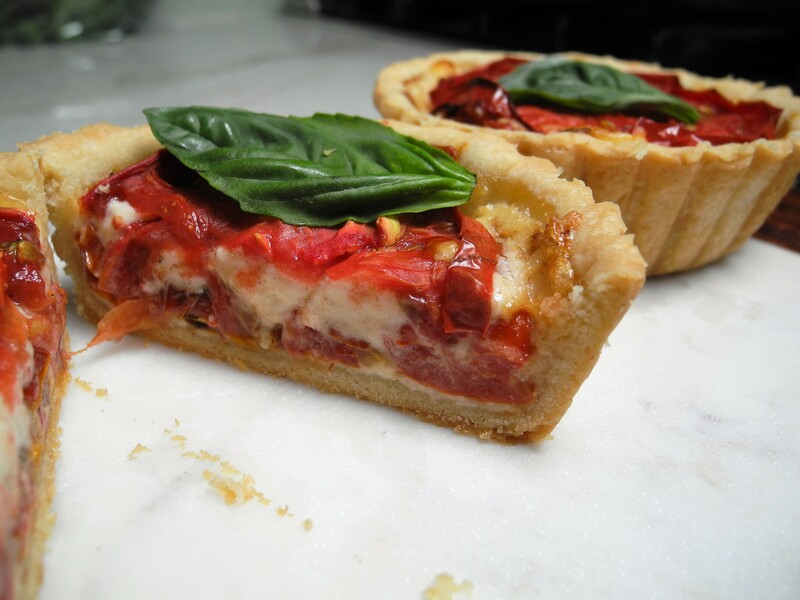 Southern tomato pie uses a cheese and mayo mixture layered with the tomatoes. I made mine with a similar mixture but cut down the mayo content. I also roasted the tomatoes for the filling rather than using raw tomatoes. I used one pie crust recipe for six 4″ tarts. For the tomato filling I used about 2 1/2 cups cherry and grape tomatoes that I roasted in the oven until browned. The cheese mixture was about 1/2 cup grated white cheddar, about 1/2 cup grated parmesan and about 2-3 tablespoons of mayo. I spread a little of the cheese mixture on the bottom of the uncooked tart crust followed it with the roasted tomatoes and covered it with more or the cheese mixture and topped it off with a thinly sliced tomato. I baked the tarts at 400 degrees for about 30 minutes. I served it topped with fresh basil. It tasted like deep dish Pizza and that’s great for my Chicagoan husband!